This week I have been asked to try out some of the ClarinsMen range. I was quite eager to do this as I regularly steal the girlfriend’s Clarins Gentle Exfoliating Facial Cleanser and like it a lot, much to her annoyance. After Movember’s shaving regime and the regular (and unusual for me) attack on my face with sharp implements, the chance to try something moisturising and cleansing is just what the doctor (in this case Emma) ordered. 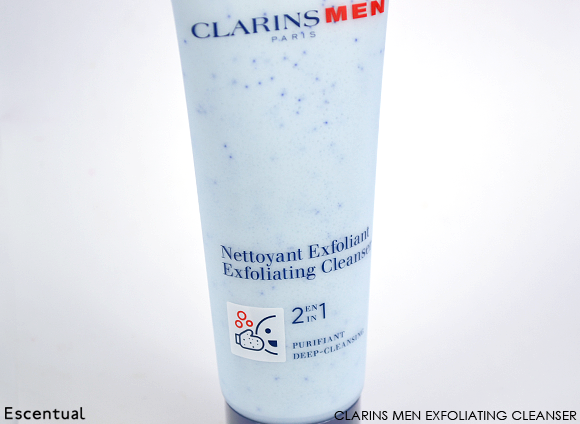 We will begin with the ClarinsMen 2 in 1 Exfoliating Cleanser. 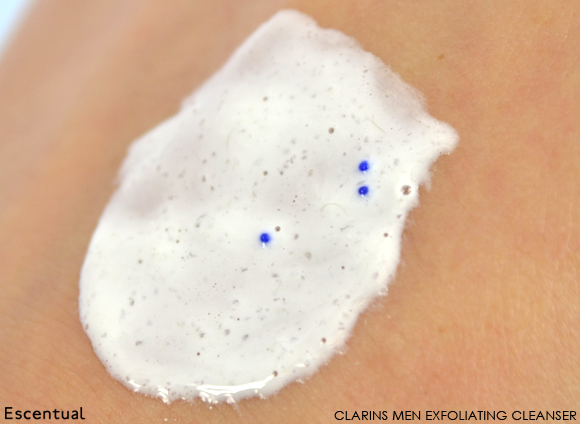 I have used the Clarins Exfoliating Cleanser previously so was interested to see how the Men’s variant compared. The first thing to note is that the product itself is a thick cream and the exfoliating beads are clearly visible. There is no distinguishing smell accompanying the product, other than what you would expect from any other facial cleanser. The beads come into play as soon as you begin to lather the product into your skin and you can feel them scrubbing away yesterday’s excess which leaves your skin ready for the day ahead. However, given that the beads are so obvious and you can definitely feel them on your skin, I would not recommend this product for men with ultra sensitive skin. 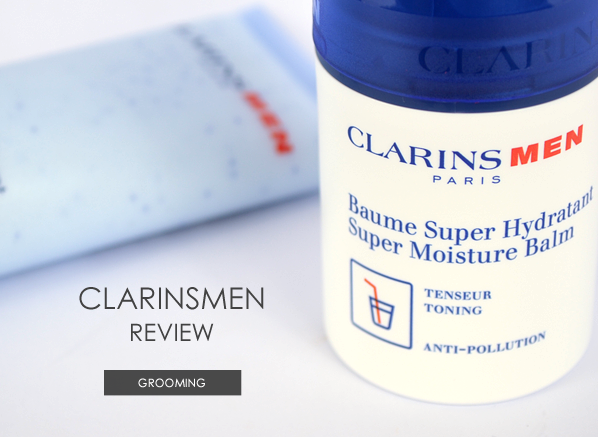 The Super Moisture Balm is next up on our ClarinsMen experience. The Balm is a silky cream which is slightly greenish in colour and, unlike the cleanser, has a fresh almost minty smell. It rubs into the skin easily, and you need a very small amount of time to rub it in. Once applied the skin begins to feel refreshed and after a week’s use it certainly feels a little more supple, which I’m sure my skin thanks me for after nearly 30 years of neglect. The only side note I would add for this is that one full pump gives more product than is probably necessary so I would suggest half pumps to start with and go from there. This competition is now closed! Check your inbox to see if you’re a winner. Like the sound of this powerhouse duo? You can win the ClarinsMen 2 in 1 Exfoliating Cleanser and ClarinsMen Super Moisture Balm (RRP £47) for yourself! We have 5 sets to give away – simply leave a comment below and let us know us your favourite Clarins Men product. Competition ends 11.59pm on Monday 9th December and winners will be notified the same day via email. One entry per person. Usual terms and conditions apply. This entry was posted on Tuesday, December 3rd, 2013 at 10:23 am and is filed under Guest bloggers, Men, Skincare, Swatches, Tried & Tested. You can follow any responses to this entry through the RSS 2.0 feed. You can skip to the end and leave a response. Pinging is currently not allowed. My skin tends to become very dry in the winter, but the Clarins Men Line-Control Cream for Dry skin helped me overcome this problem. The active ingredients of this cream keep my face moisturized for a long time. We all love the super moisture balm in this house! Hubby loves the exfoliating cleanser but he often pinches my Dramatically Different Moisturiser! Super moisture balm for snuggle up to skin. Clarins Men Line-Control Cream for Dry skin has turned my skin from a nightmare into a dream! My husband loves the Super Moisture Balm and wouldn’t be without it in the winter! Clarinet men’s super moisture balm, so spot on. The Clarins Men Line-Control Cream works wonders for my man – I even use it the odd time myself! Shhhh! My other half uses the Clarins Smooth Shave to keep his skin soft. the Super Moisture Balm is already my favourite, so this is ideal. Super moisture balm is amazing and you only need a small amount. 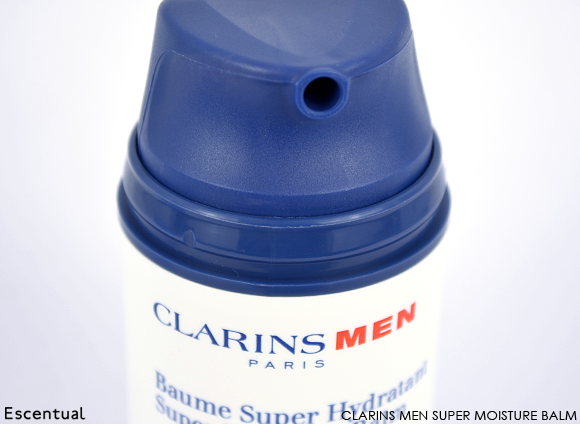 Clarins Men Super Moisture Balm 50ml is my life saver! The Super Moisture Balm is my favourite as it makes my husbands skin feel lovely. I bought some of the Clarins Men Super Balm (that you have tested out) for my 17 year old son. He has very dry and often red, facial skin, but usually he will only use products that he thinks are more ‘Chemisty’ lol, like E45 and Eucerin, anyway, i convinced him to try the Super Balm (by showing him that it said ‘for men’) and i am pleased to say the difference is quite remarkable. His skin seems less red, it’s certainly much softer and the dryness has almost disappeared, he says his skin still feels ‘good’ after a full day on a Mechanics course, i think this product has all the benefits of a ‘heavy duty’ dry skin product, but in a far superior (and more classy) utilization. my hubby swears by the Clarins Men Active Face Wash Foaming Gel , far better than sioap and water. My husband loves Clarins Men active face wash as he says it cleans and smooths his skin. I love the Exfoliating Cleanser. Makes my skin soft and clean! The Exfoliating Cleanser sounds like a dream! Clarins Men 2 in 1 Exfoliating Cleanser. Anti-fatigue eye serum is amazing – well according to the hubby! The active face wash foaming gel is really good. I’ve always had bad skin and since trying this it has hugely improved. It’s not cheap but you get what you pay for with some things. My husband’s favourite product actually is the Super moisture balm! He has very sensitive skin that gets dry and this hydrates like a dream without leaving him greasy! My partner loves the revitalizing gel the most! The 2 in 1 Exfoliating Cleanser really makes a difference. . The Super Moisture Balm, really impressed with how long it lasts! Men Super Moisture Balm is my husbands favourite. My husband loves the Super Moisture balm. The After Shave Soother! Good Luck! The Super Moisture balm gets the thumbs-up in our house. My husband loves the Super Moisture Balm and I love it too because he doesn’t steal my moisturiser any more. My fiance works long hours and swears by the anti-fatigue eye serum to make him look like he’s had a full 8 hours instead of about 4. My husband just discovered moisturiser this year! after I bought him some for his Birthday, So I would have to say The Super moisture balm would be his favourite, as its the one he uses. Clarins Men After Shave Energizer – yummy smell. My favourite Clarins Men product for my man is the Body Moisture Spray; my partner loves it too. Anti-Fatigue Eye Serum, my fiancé says its fantastic! My hubbie ran out of his Clarins Line Control Eye Balm a few weeks ago and has to wait until Christmas for some more……and boy can you tell. His eye area looks like a burst sofa at the moment and is badly in need of TLC. We can but hope we win but either way he needs some new Clarins and soon. Clarins Men Super Moisture Balm! My other half loves the 2-in-1 exfoliating cleanser! My fiance loves the after shave soother as his skin is very sensitive post shaving! The Active face wash foaming gel gets my vote. Shave Soother for my man ! My bro raves about the Super Moisture Balm so I would go for that. ClarinsMen Anti-Fatigue Eye Serum is a must item for my hubby as he suffers with really dark circles under his eyes. my partner uses ClarinsMen 2 in 1 Exfoliating Cleanser and I have to admit to using also when I run out of mine! Great exfoliator. I have been using Clarins for years and love everthing from them and was thinking to get something for my husband. This would be a great opportunity for him to Clarins out and I am sure he won’t be dissapointed! My partner uses the Active face wash foaming gel and the anti-fatigue eye serum every day to keep him looking good. ClarinsMen Exfoliating Cleanser, great product! My husband uses Clarins Men Super Moisture Balm and he swears by it. Super moisturising balm!! Its great you can really see a difference! 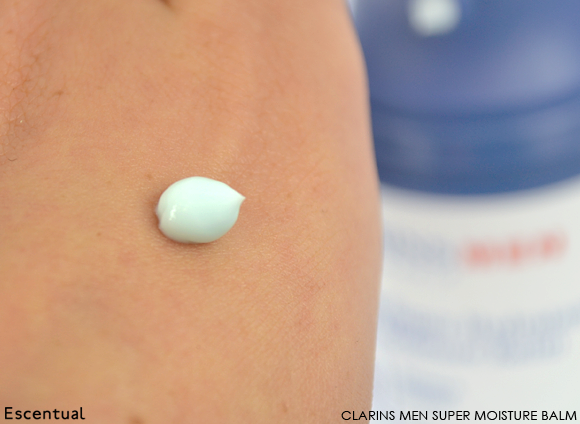 ClarinsMen Super Moisture Balm – leaves skin super soft! Clarins Men Super Moisture Balm – love the fresh smell. The Super Moisture Balm is a really good product. My partner loves it and I use it too. Clarins men super balm, as i love the smell on my partner and he likes it because it works. The Men After Shave Soother is amazing, it help with my husbands irritated skin after shaving, no more red patches! Super moisturising balm is the best!